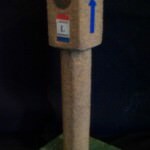 Hello, hello American Songline followers! I can’t believe May of 2016 is here. This year has disappeared so fast. After I finished performing last fall (I was on tour for several months last year promoting the American Songline book and CD), I took some time to relax and spend time with my family. During that time, regrouped to figure out what was next. I knew I wanted to do a new program on a theme like my Lincoln Highway program, but I wasn’t sure where to start. And then it came to me. In 1917 and 1918, our nation changed forever when it entered into the First World War. More than a hundred thousand Americans fought and died in this often-overlooked period of our history, and I knew I had to share their songs and stories. I am proud to announce that I will be going back into the studio this year to record all these songs in their original sheet music as they were intended to be heard, and I plan on performing them live across the country in 2017 and 2018. I have chosen a wide range of songs for the upcoming shows, including patriotic songs like ‘Keep the Home-Fires Burning’ and ‘It’s a Long, Long Way to Tipperary.’ Some other songs poked fun at military life, like ‘Oh! How I Hate to Get Up in the Morning’ and ‘How Ya Gonna Keep ‘em Down on the Farm.’ But it’s not all marching songs; I will also include sentimental songs on the album like ‘Till We Meet Again’ and ‘The Rose of No Man’s Land’. And now, this is where you come in. 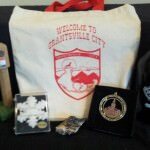 The grassroots effort for my first project was the backbone of my tour, album, and CD. It was as amazing as it was because of the contributions of the people and communities I came through. Because of you! Producing an album not only takes time, it also takes money. A typical album by today’s standards is roughly 45-60 minutes with about 10-12 songs. 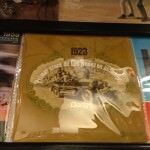 But due to the recording technologies of the time, songs were much shorter than they are now. To make a full-length album, I need around 15-20 songs to get around that 45-minute mark. To help with these production costs, I will be running a crowdfunding campaign on Indiegogo for the month of May. All funds will go strictly to the producing of the album, which includes the studio production expenses and piano accompanist’s fees. Cover art as well as any fees to publish the album on CD Baby are also included in this funding goal. 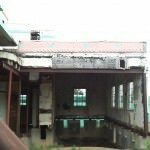 If I exceed my $3,000 funding goal, I will record an additional WWI tune for every $500 raised. 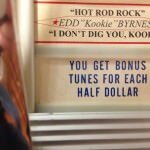 The perks of this campaign include digital and/or physical copies of the album, as well as autographed copies of my American Songline book and album. International donors are welcome and I’ve got various rewards at all tiers, including the chance for you to sing on the album with me, so check them all out! 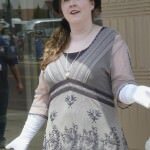 Here’s the link to donate: https://igg.me/at/songsofWW1. To read my press release, click here. I love sharing America’s history through song, and I hope you’ll join me in having this music brought back to life again. Thank you for all of your support over the years, and I look forward to hearing from you! The American Songline Book is Here! At long last, it’s finally here! I am proud to announce that the American Songline book is now available on Amazon in both paperback and Kindle versions! Click here to pick up your copy: http://www.amazon.com/American-Songline-Musical-Journey-Lincoln/dp/1514317826/. I’ll be making appearances all over the country this year, and am taking bookings for concerts and speaking engagements for 2015 and 2016. If you know of an organization that would want to hear me and my story, please let me know – I’d love to bring American Songline to the world! 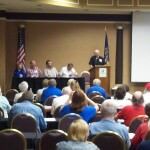 I’m also happy to speak about crowdfunding to groups as well. 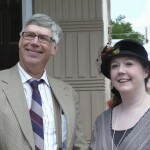 I’m keeping this post short as I’ll be heading to Ann Arbor, Michigan for the Lincoln Highway Conference today, and I’ll be there all week attending the conference and performing. I’ll post a follow up post on the conference next week when it’s all over. Until then, safe travels everyone! 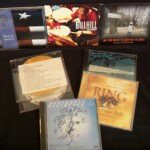 The American Songline CD is now available – get your copy today! The American Songline CD is now available for purchase!! This amazing cover art was designed by John H. Clark, an artist who specializes in creating vintage artwork for the National Parks in Utah (http://scenichwys.com/). We not only wanted this to look like a piece of vintage sheet music, but it also incorporates historic buildings along the Lincoln Highway as well. 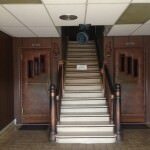 From the 1880s to the 1930s, when most towns had a theater and live music was a staple of weekly entertainment, people across America gathered to enjoy the sounds of vaudeville: popular favorites, operetta and folk songs that reflect the hopes and dreams of a simpler time. 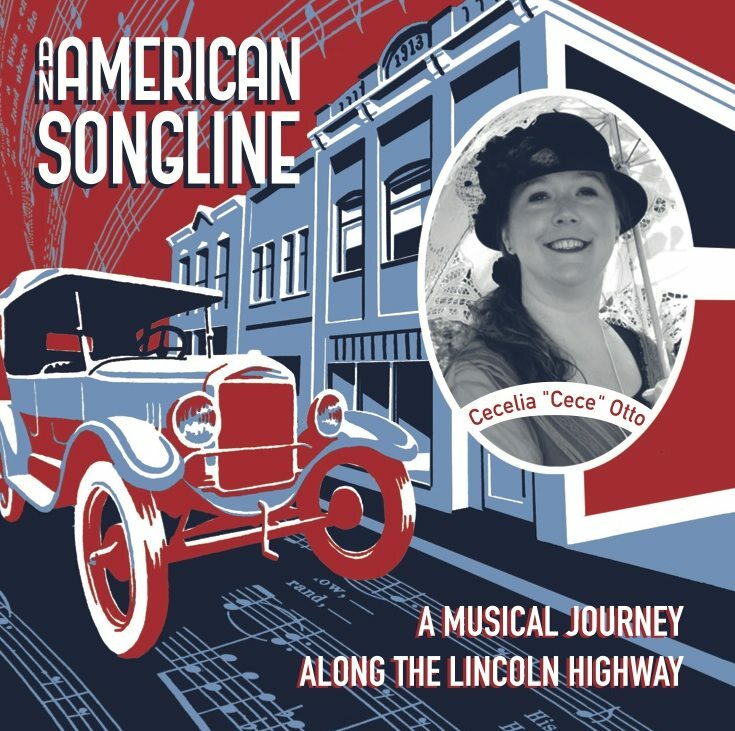 In An American Songline: A Musical Journey Along the Lincoln Highway, vocalist and composer Cecelia “Cece” Otto reaches back to the heyday of vaudeville to recreate the music that entertained Americans from coast to coast, singing songs of love and longing that have lost none of their power to enchant listeners of all ages. 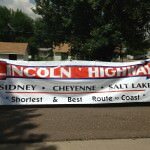 The Lincoln Highway celebrated its 100th anniversary in 2013, and Cece marked this milestone by journeying more than 5,000 miles along the road, starting at the highway’s eastern terminus in Times Square and ending in Lincoln Park, San Francisco. Over the course of nearly six months on the road, she performed more than 30 shows in venues ranging from a nineteenth-century opera house to the grounds of a historic farm. 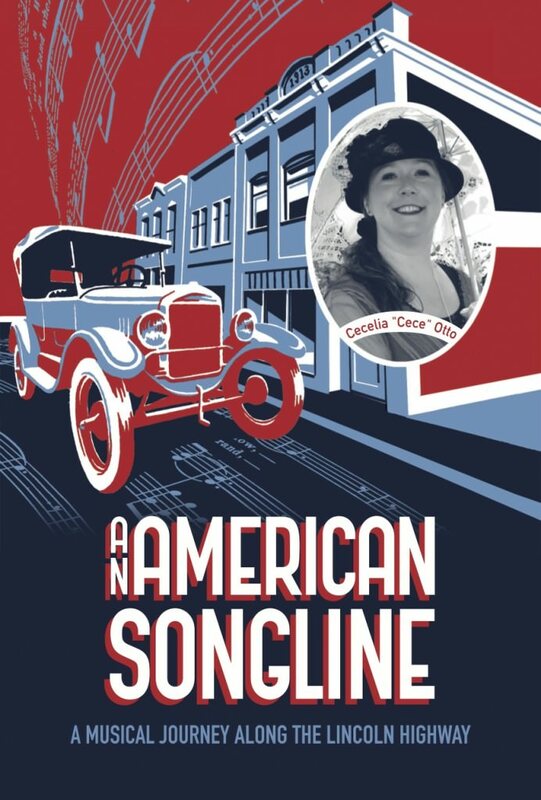 An American Songline is an audio souvenir of this journey, reflecting the songs audiences loved along with insights — and humor — picked up from traveling far from the interstates most Americans rely on to cross the country. BUT WAIT! There’s more to come – a book chronicling my journey will be released in May, and I’ll be out on the road touring again this summer! Definitely subscribe to my newsletter below or follow me on Facebook, Twitter, Instagram or YouTube so you don’t miss a thing. Hope to see you on the road! 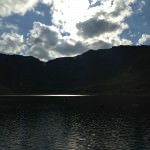 The nomad in me never stops moving, hence my silence on this blog. After I finished the tour this fall, my husband and I took the plunge and moved 2,000 miles from Chicago to Portland, Oregon where we’ve both never lived before! We’ve been here now for a few weeks, and are spending the holidays here on the West Coast. So far my time has been great here, and I look forward to exploring the area more very soon. But enough about non-Lincoln Highway things! I know many of you out there have been enjoying and celebrating your holiday season amidst the hustle and bustle that comes along with it. I wanted to stop and take stock of the many gifts blessings I’ve received from people along the road this year, and I wanted to share these roadside finds with you all. Below you’ll find some really neat and unique items that were given to me as well as things I found along the way. 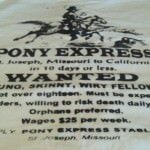 You’ll also see a plethora of t-shirts in this collection as well from across the country (when you live on the road and laundry is scarce, new t-shirts are pretty much a necessity). Without sounding too hokey, the biggest gift of all is nothing pictured in this gallery. It will always be the new friends I made while on my journey; they now have become “old” friends to me in such a short time. 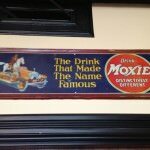 They are the true legacy of the Lincoln Highway, and I feel honored to know them. You will hear more about these extraordinary people in future blog posts as well as my book about my travels. So stay tuned-this is only the beginning! 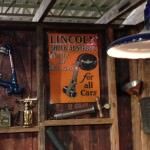 Old Lincoln Highway Sign from Iowa. It was a gifted to me by someone from the Iowa LHA Chapter. 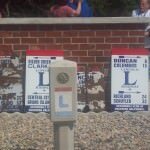 These signs hung on the original route until they were replaced by Iowa’s Heritage Byway signs a few years ago. 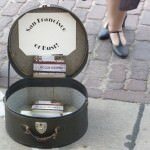 Being the musician I am, CD’s were a welcome gift and soundtrack for my travels. Some CD’s were given to me by complete strangers, others by longtime friends. 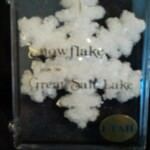 Everything from Classical to Country Music is included in this collection. 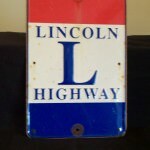 Detail of Handmade Lincoln Highway Marker made by Bob Owens (Jefferson, Iowa). He told me that he puts 6 coats of sand on each marker to create the desired effect. 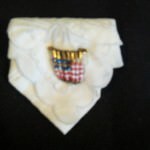 Handmade Pin on antique hankerchief, made by Janet Von Toussiant of the Livermore Heritage Guild in California. There were several books presented to me on my travels. 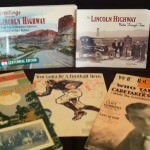 From Art Deco Paper Dolls to the Book of Mormon, all of the books play a part in the story of the Lincoln Highway. The two books in the back were both written by my friend and Lincoln Highway guru Brian Butko. 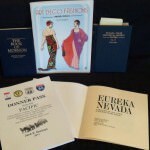 Both were published this year to commemorate the highway’s centennial. In the front you can see some fun sheet music from the 1910’s and 20’s that was given to me by people along the way too. I just love those old song titles! 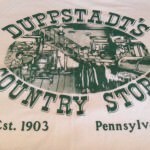 You’ll find this old-time country store along the Lincoln in between Bedford and Pittsburgh. 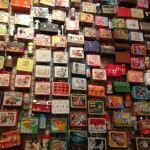 Definitely stop and take the time to walk around the store, you never know what you will find there! 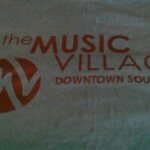 I absolutely love the mission of the Music Village, and if you are in/near the South Bend area please check them out! They are doing great things for the community along the Lincoln Highway. 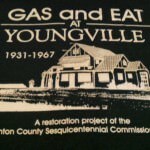 About 30 miles outside of Cedar Rapids, IA, you’ll find the Youngville Gas Station and restaurant. Entirely run by volunteers, this place is a lovely stop along the Lincoln Highway. 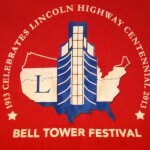 Thanks to Bob and Joyce Ausberger not only for giving this t-shirt to me, but for inviting me to perform in Jefferson, IA for their huge Bell Tower Festival. 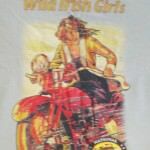 Neat t-shirt find in Colorado. 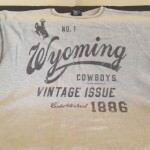 This wonderful shirt was a gift from the Music Director at St. Matthew’s Cathedral in Laramie, Wyoming. 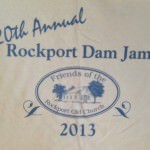 One of the most unique performances on my tour was to be part of the annual Rockport Dam Jam. I got to learn new music for this concert, and the players were an absolute delight to perform with. 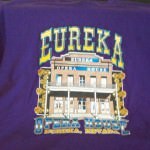 T-shirt of the Eureka Opera House. If you are in this part Nevada, please do yourself a favor and spend the afternoon (or night) here. 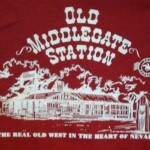 Middlegate Station in Nevada is a fanstastic place to stop, walk around, and get a bite to eat. 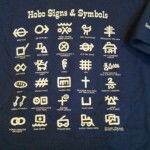 One of my favorite finds at the Nevada Historical Society’s gift shop: A t-shirt showing all of the hobo signs and symbols. Writer’s Block or Writer’s Overload? Greetings from my last day in Reno, Nevada, and the final Monday of this tour! Yup, that’s right folks, my singing travelogue will officially (and unofficially-more on that later) be done on Labor Day weekend. I’m pretty much in shock that I’m a stone’s throw away from California right now. Here’s why: I have writer’s block. Knock down drag out writer’s block, but not for the reasons you think. I’m currently working on the state of Wyoming (I had three performances there in early August), and the truth is that I’m not “blocked”, I’m actually on “overload”. 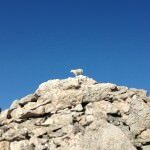 I have SO much to say about my time in Wyoming, It’s extremely difficult to decide what’s best for the blog, what’s best for the book, and what’s best to talk to me about over a beer. As this tour is coming to a close, I’ve felt some of the sensory overload start to melt away so that I can get something out to you all soon. Expect blog posts on all of the remaining states along the route that I haven’t written about yet, they just might come after I’m off the road. Thanks you again for being along for the ride, it means a lot to me. Know that no matter what happens, I’m excited for the final performance in Livermore, (and maybe even an informal/”unofficial” performance in a surprise place, watch the calendar) as well as I’m also excited for what will happen post-tour for this project. This is all just the beginning! 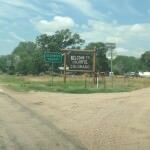 Towns don’t really exist in this part of Colorado, but ranches and businesses do. I’m a little biased with today’s post. As most of you know, I lived in Colorado for five years to do my graduate studies in music. This part of my trip was as close to a “homecoming” as I got on this tour, so after my Denver performance I took a mini-break from the road to be in familiar surroundings with dear people who I’ve known for a long time. That being said, there is plenty about Denver that is no longer familiar to me, even after only being gone several years. 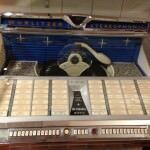 Restaurants and radio stations stayed the same, but so much has changed and grown in such a short time. 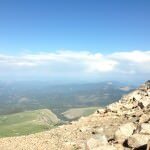 I knew I couldn’t go “home” again when I came back to Colorado, but I still never anticipated how hard it would be to be back there at times. 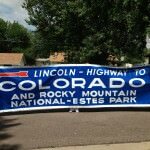 The Colorado Loop only existed as part of the Lincoln Highway from 1913-1915, but since we are celebrating the centennial of the highway, we must celebrate all of the original parts of the road. 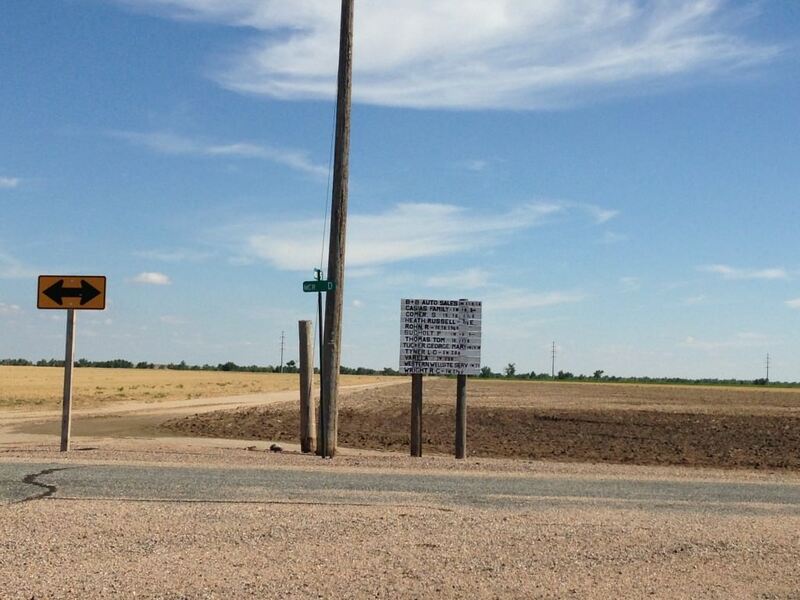 This loop created great controversy from the get-go for the Lincoln Highway Association. 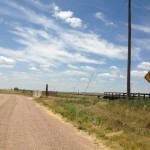 This part of the highway was included due to the persuasions of people in Colorado, but also out of slight guilt from the association. 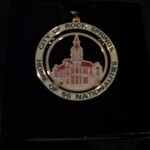 After all, they held their initial meeting in Colorado, and then they originally decide to leave Denver off the route? Colorado wouldn’t have it! The loop was then created, but trouble quickly followed. 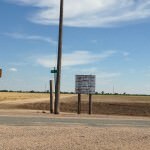 The town of Greeley decided they wanted in on that action, and then there was an “unsanctioned” route created to include Greeley in that route. The LHA had enough of the state’s shenanigans, so they eventually and quietly changed the route to not include Colorado. It’s a shame really. 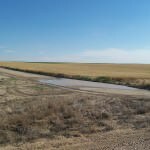 The high plains of Colorado have a serenity found nowhere else along the route. After living in Denver and always flocking into the mountains for an adventure, the Northeastern parts of Colorado have an adventure all unto itself. 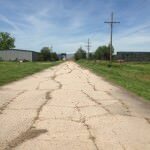 Much of this area still remains unchanged from a century ago, and you really start to feel the isolation a Lincoln Highway traveler would have encountered back then. My performance in Denver was a good one, and it was wonderful to see so many lovely people again. Dan was able to come out for this show, plus there was an old friend who flew from New York to surprise me for this performance! There’s some great video of this show now on my YouTube Channel for your viewing pleasure. 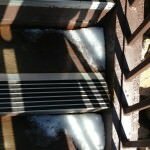 Below you’ll see photos of the loop as well as pictures of Denver itself and Mt. 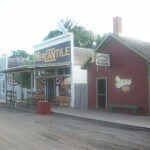 Evans (while not on the Lincoln Highway, it’s a road that most everyone should visit while in the area). Let me know what you think of the pictures, and thanks for stopping by! The Phelps Hotel in Big Springs, NE is a great landmark in the area, and is known for its three chimneys. 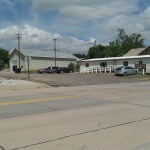 This is the location where the “Dueling Billboards” were located in Big Springs, NE. Do you go to the right? Or do you go to the left? As you can see, I took the left. I was very happy to see this sign. 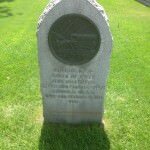 This marker in Julesburg marks both the Oregon trail and the Pony Express. The Old Ford Garage has tons of great old stuff from what I hear, too bad it was closed when I was in town. 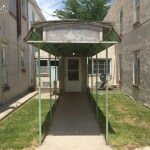 I loved this old awning of an old hotel (now apartments) in Julesburg. 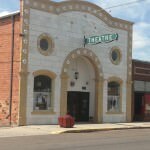 This is the Hippodrome Theatre in Julesburg. It still is in operation today. 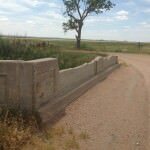 This is the remnants of an old bridge near Dorothy, CO.
View of the original route near Dorothy, CO. 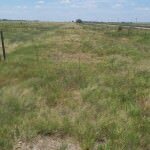 This is the old roadbed of the Lincoln Highway’s Colorado Loop. 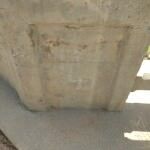 This bridge on the South Platte River has the “DLD” (Detriot-Lincoln-Denver) stencils still on it. You can find outside Merino, CO. 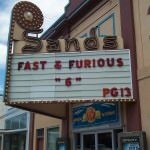 The Sands Theatre opened in 1916, and has been restored back to its glory. Main Lobby of the Sands Theatre. Love the dramatic masks! 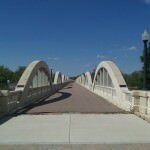 The Rainbow Arch bridge in Ft. Morgan has 11 arches, and was open to auto traffic from 1923-1987. 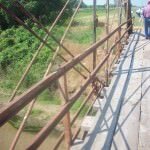 Today the bridge is open to pedestrians. This is the view from the end. As noted in the last post, “minimum maintenance” roads should just be called “muddy roads”. 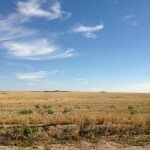 With the car stopped and the radio off, I sat in my car on the high plains of Colorado and listened to the wind. View of the Cherry Creek in Denver at sunset. 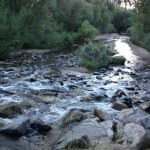 This creek crosses the Platte River downtown, and it is at that very spot where Denver was founded. 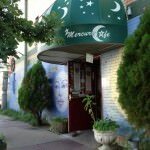 Outside of the venue I performed at. 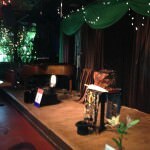 Inside at the Merc’s Jungle room-the stage is all set! 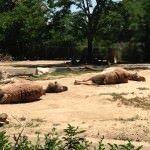 Nap time at the Denver Zoo! 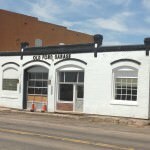 Liquor License #1 was issued here at the Buckhorn Exchange in Denver, CO. Much of the place has stayed the same, and you’re a meat lover this is a great place to eat. 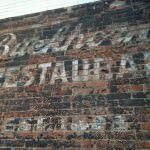 Ghost Sign on the Buckhorn’s building. This is located on the North side of the building. Ah, I missed these mountain sunsets. 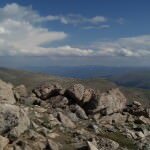 View from the top of Mt. Evans, the highest paved road in North America. Another view from the top with my other camera. 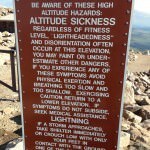 Here’s me with the sign at the top. Yup folks, that is snow on the stairs…in late July. 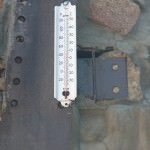 In case you can’t read this, it said it was 44 degrees Fahrenheit when we were there that afternoon. Always good stuff to remember for this part of the country and other Western sections of the Lincoln Highway. 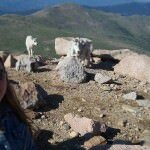 I was pretty surprised when these “wild” goats wandered up to us at the park. I’ve seen them before here, but I’ve never been that close. 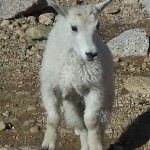 Closeup of the baby Goat. 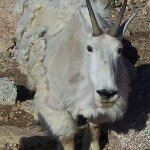 Closeup of the Mama Goat. Everyone wants to go straight to Mt. Evans, but they should stop at all of the cool little parks along the way to the top, including Summit Lake Park. 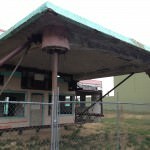 This gas station in Longmont, CO is where supposedly Jack Kerouac stopped and took a nap at in his book “On the Road”. As you can see, it’s literally on its last legs. Here’s another view of the station, which had a full garage. 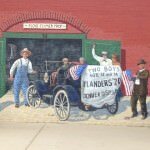 This mural in Berthoud, CO pays tribute to hometown boy Floyd Clymer, one of the pioneers in motorcycle racing. 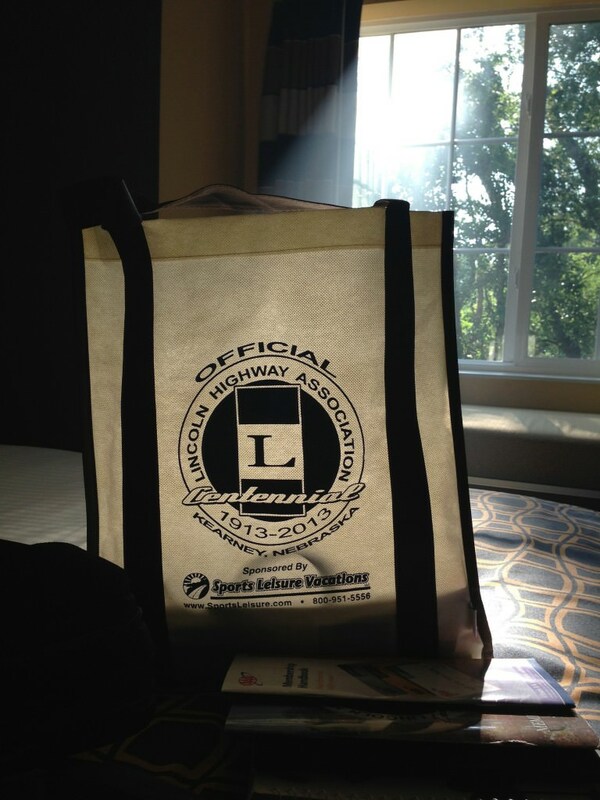 A Lincoln Highway celebration would not be complete without attending this Lincoln Highway Association’s annual conference this year. This is the 21st conference the Association has held, and it did not disappoint. I wasn’t able to stay for the whole conference this time (just Tuesday and Wednesday), but I had a lot of fun hanging out with old friends and learning new things about the Lincoln. 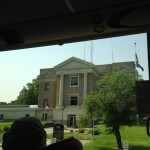 Our bus tour on Tuesday went back into central Nebraska, and I got to revisit some of the places I had seen the week prior. For me, it was a good chance to get some more pictures (the lighting had changed because of the weather), see old friends and make new ones. The new place I went to on this tour was the Museum of American Speed. I’m not a gear head, so I thought I was going to be bored. I was SO wrong. 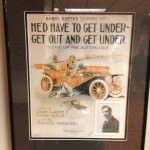 There were so many exhibits of different auto related things, there really was something for everyone. Wednesday was seminar day, and all of the presentations that I saw were fantastic. I wasn’t able to stay all day because I was being interviewed for a documentary (more on that in a future post). The evening concluded with me performing for the awards banquet, breaking down my table in the book room (it’s the best way to find me at the conference), and saying my thank yous and goodbyes to everyone before I went back to my hotel room to pack and get ready for the next stage of the tour. 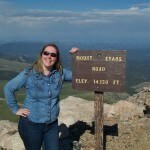 I love going to the conference every year, and I look forward to next year’s conference in Utah! 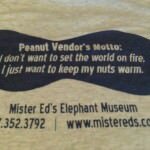 Here’s a few pictures of the conference for your viewing pleasure (Also check out Denny Gibson’s posts about the conference, you’ll learn some random things about me). My next post will be a continuation of Central Nebraska (it’s a pretty big state), focusing from Kearney to North Platte. Until then, have a good weekend everyone! 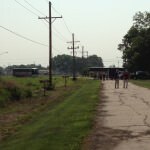 Another View of Grand Island’s Seedling mile, this time with the LHA tour. We went back to visit the Pony Truss bridge I was a little freaked out about visiting, and there was a welcoming committee this time! They brought along some of these old cool signs dating back to the 20s. 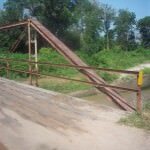 Here’s another pic of the bridge, as you can see the water went down a little bit! I could honestly photograph this bridge for an hour, so many cool shadows. Here’s Russell and Jay near some local “foliage”. 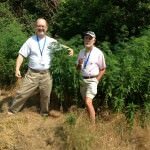 To curb deer from getting into places they shouldn’t go, hemp plants grow in/around most ditches in Nebraska. We actually had a cop sitting near us to make sure we wouldn’t procure anything. The Merrick County Courthouse in Central City, Nebraska is the site of the first proclamation of the Lincoln Highway, on October 8, 1913. 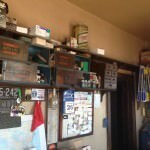 We ate lunch at Duster’s in Gothenburg, NE, the place where I got that awesome root beer at in my previous posts of this area. 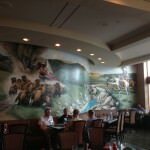 This is a mural that’s inside the restaurant, which shows people traveling across the country. Off to Lincoln, Nebraska next! Yes, it’s technically not on the highway, but honestly the Museum of American Speed was much more fun that I thought it was going to be. 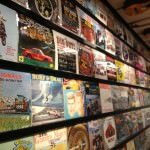 This whole wing of the museum was dedicated just to albums of racetracks and car noises. Here’s a record of the first Dodge driving the Andes Mountains in 1923. 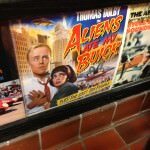 Most people remember Thomas Dolby for the song “He Blinded Me with Science”, not “Aliens Ate My Buick”. Going up the stairwell from the 2nd to the 3rd floor I ran into this Lunch Box collection. It was one of the coolest retro things I’ve ever seen. If you haven’t heard this song, go to YouTube and listen to it-now. It’s hilarious. I will probably sing it on my next tour. 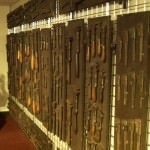 And I thought my Dad hoarded tools, here’s a wall of Monkey Wrenches. Inside this massive museum (3 floors), they had a replica of a 1920’s garage, including the “Lincoln Shock Absorbers”. 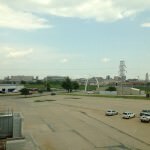 From the 3rd floor of the museum, you can see the whole view of downtown Lincoln, NE, including its unique state capitol building. 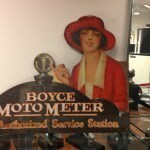 In the song “Preparing for the Lincoln Way” composed by Nolan Stolz, I’ve been singing about a “Motometer”. I finally got to see a sign of one at this museum, pretty cool! 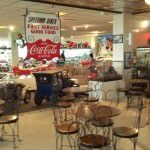 Here’s the view of the replica soda shop in the museum. There were several dioramas on the 3rd floor, but this one was my favorite. Sign greeting you at the hotel, painted by Iowa artist and LH enthusiast John Fitzsimmons. 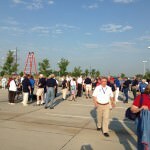 We all gathered for our group picture Wednesday morning wearing our best red, white and blue shirts. I turned around a snapped a pic after we were done with the photo shoot. 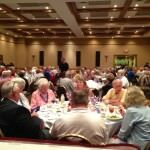 I had the honor of singing at the LHA awards banquet this year, and they put me at the head table! What great view. 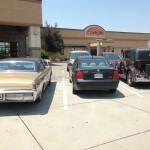 Never again will my little car be surrounded by two other beautiful cars of completely different periods. Again, here’s another great photo and sign display. 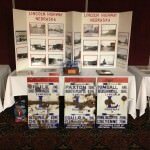 Lots of people brought out some great Lincoln Highway signs and memorabilia for this year’s conference. My favorite part of Seminar Day was hearing the panel of the early founders of the Modern LHA, which included Joyce and Bob Ausberger, Brian Butko, Kevin Patrick and Drake Hokanson (first man to write a book about the highway). 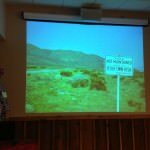 Seminar day had a lot of great talks about Lincoln Highway history. From general facts to the Tin Can tourist travel to learning more about the Colorado Loop, it was a great day. 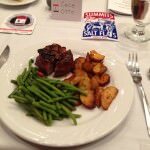 The food for the banquet was excellent, and for my friends who have food issues, the Holiday Inn in Kearney did a great job! 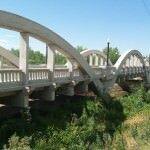 Central Nebraska Highlights, plus the Lincoln Highway turns 100! The last few weeks have been non-stop! Between the performances, interviews, and just general merriment, it’s all been amazing! Unfortunately, the road has finally caught up to me almost 4 months later. My immune system crashed, I got sick, and I’m now resting and recovering for the next stage of the tour. 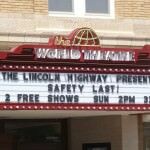 I can finally sit down and update you on this exciting time in the Lincoln Highway’s history. I’m doing the next couple posts slightly out of sequence because there’s so much information to cover. 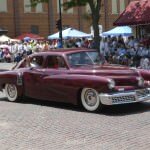 Today’s post will focus on Grand Island and all of the festivities for the Lincoln Highway’s 100th birthday in Kearney. 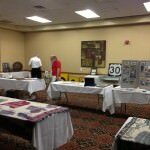 My next post will be about the 2013 Lincoln Highway Association’s annual conference (of which I am a proud member), and then I’ll resume my regular posts which head westward. Wow, where do I start in regards to all of this? 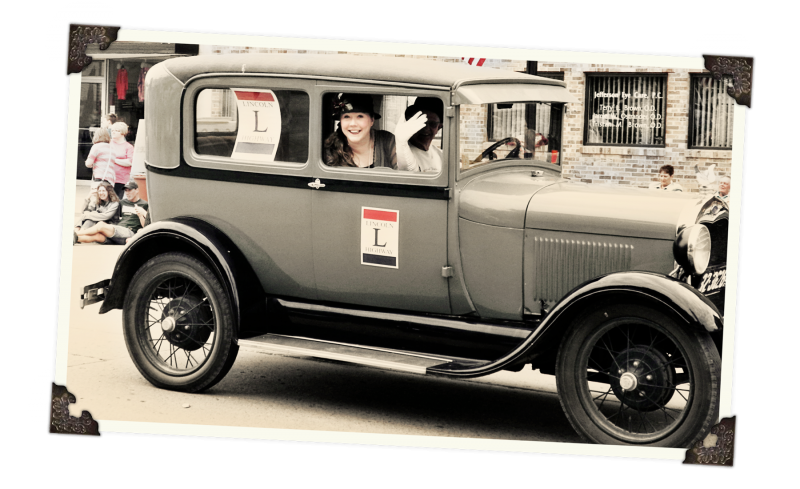 There’s still a mix of honor and disbelief that I was a part of the Lincoln Highway’s birthday. It all went by SO fast! What really accelerated things for me were all of the various TV, newspaper and documentary interviews I did during this time (all media stuff I did was a complete surprise to me). This is the first time on the tour where people walked up to me and knew who I was! 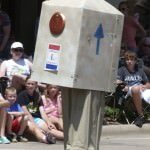 Audiences in Grand Island and Kearney overall were very enthusiastic of the project and the music, and the Lincoln Highway pride was in full force everywhere. It was amazing to have so many people from all over the world in one place celebrating America’s first transcontinental road, and to be a part of those festivities was so humbling. I truly wish I could have had more time to spend in Grand Island. There’s a lot of really wonderful things going on in this town. 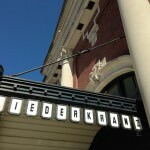 Originally I was set to perform in the Grand Theatre, but when renovations weren’t complete, I ended up performing at the Liederkranz instead. The universe direct us to places and people that we never thought we’d meet, and I have to say the Liederkranz is one of those places for me. 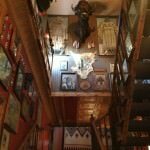 It was an amazing place to sing, and the owners Fred and Gloria are top notch people in the community. 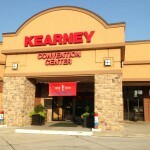 The city of Kearney is roughly half way between San Francisco and New York City, so it was a natural choice to host the Centennial celebration. 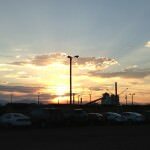 I got to the city before the LHA auto tours, the Tin Can Tourists, and other folks from all over arrived to the town and everything was all abuzz in anticipation of what was on deck for the coming weekend. Okay, enough yakking. In a blog first, you’ll see a lot of pictures of me in this post, which is thanks to my husband Dan who was my roadie, photographer, and overall awesome guy during this busy time in the project. I couldn’t have done it without him! 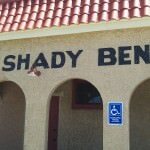 The Shady Bend Campground in Grand Island used to provide gas, food and lodging to travelers for many years, and there were extra amenities like a playground and a sandy beach lake. Today it is now a restaurant. 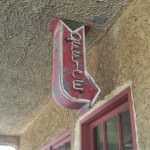 Love this original sign above the main door at Shady Bend! 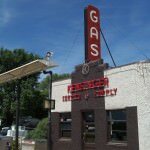 Not too far down from Shady Bend is Kensinger’s Gas Station, which is still a fully operating gas station for more than 75 years. Here’s a picture of the gas station interior. Thanks to Richard Grudzinski for letting me take pictures of everything. 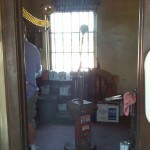 You saw the main room in the previous picture, here’s the back room of the gas station. 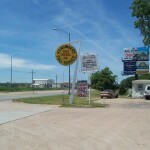 The sign to Kensinger’s gas station. 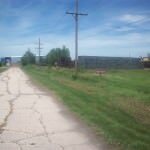 Located behind Kensinger’s in Grand Island, this is an original seedling mile (paved 1915). You can’t drive on it, but you can walk on it. Another view of the Seedling Mile, with a few Burma Shave signs this time. 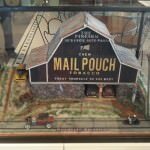 The Stuhr Museum of the Prairie Pioneer is a couple miles south of the Lincoln Highway, and definitely a fun must see when in the area. It’s not fancy, but I’ll take it! 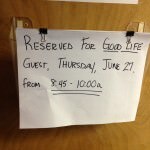 The door to my dressing room for my live TV appearance. 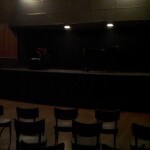 Here’s the outside of the building I performed at in Grand Island, the Liederkranz. 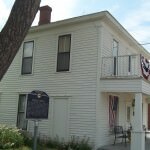 The club has been around since the 1870’s, but this current building has been in existence since 1911 (it was built along what would become the Lincoln Highway). The Liederkranz is used for a variety of things from dances to dinners to sing-alongs, acoustically it was a perfect place to sing. 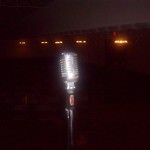 It’s a fuzzy picture, but as you can see this microphone is an old one and has probably been around for a long time. 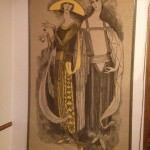 There is a gentleman counterpart to this tapestry, but I loved these ladies that were awaiting me in at the Liederkranz. 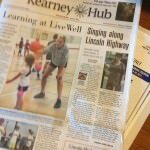 Guess who made front page news in Kearney! What a nice surprise to see when I was checking into the hotel. Singing for my supper in downtown Kearney. 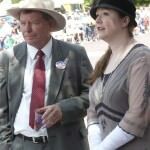 Will Rogers and I look on at the parade as it goes by. 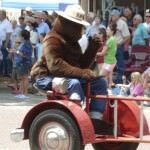 Even Smokey the Bear made an appearance! 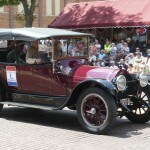 One of the hundreds of beautiful cars I saw during the parade on Sunday. I’m not really a car person, but when a Tucker drives by, I pay attention. These bike riders were so hypnotic to watch. 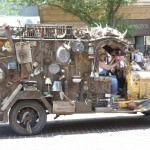 Officially the most unique car in the parade, this camper/truck made all kinds of fun and crazy noises as well as had some moving parts on the outside too. Even FDR showed up to the festivities! He really loved my rendition of “God’s Country” (the song mentions the President himself). My guitar player was Jeff Erpelding, a local Kearney musician who plays in a few bands in the area. 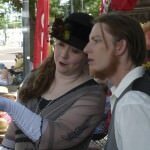 Not sure what I’m pointing at, but it must be important! Kearney’s World Theatre was right across the street from where I was singing. It has been recently restored back to its 1920s glory, and it played a silent movie during the festivities. 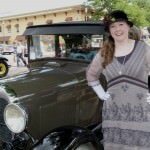 Here I am with one of the great old cars that was on the 1910s block. On Monday, I performed two great shows at the Archway to mark the highway’s centennial. 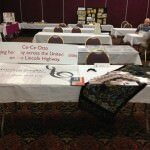 In between sets, I ran over to the hotel to set up my table for the Lincoln Highway’s Annual conference (more on that in the next post). 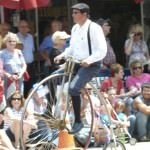 There was a huge celebration at the Archway Monday evening, where there was a lot of good food, music and Lincoln Highway merriment! 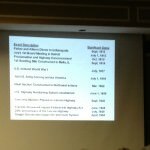 One of the things that did happen also was the Brian Butko gave a talk on Monday about the newest book he edited “The Lincoln Highway: Photos Through Time”. Here’s a picture of Brian and I with my signed copy! 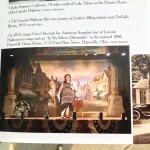 Last but most definitely not least, here’s the picture of me in this new Lincoln Highway book! You can find me on page 21. 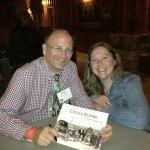 Thanks to Jamie Ralston (My Lincoln Highway) and Brian for putting this picture in the book. It was truly a wonderful surprise to see, especially on the 100th birthday of the road! Get updates on the latest American Songline news and tour dates by subscribing to Cecelia Otto’s e-newsletter. 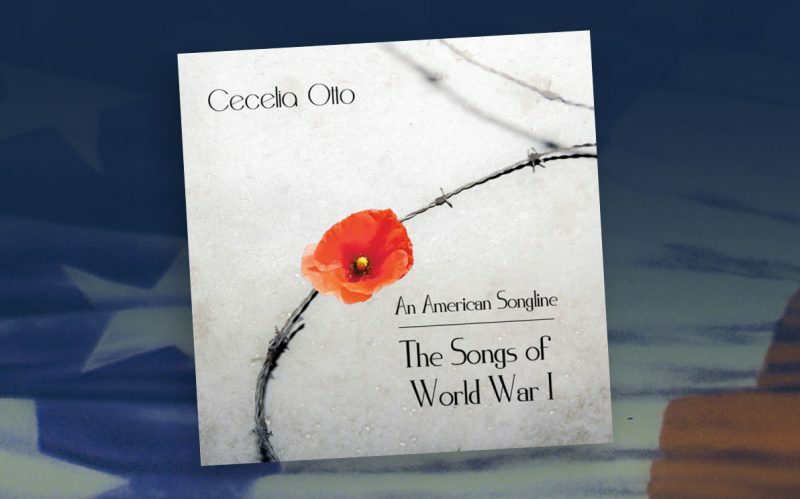 An American Songline: The Songs of World War I is now available to purchase on CD or as a download, featuring 17 songs that capture the hopes, fears and humor of the war years. Come see Cece perform live! 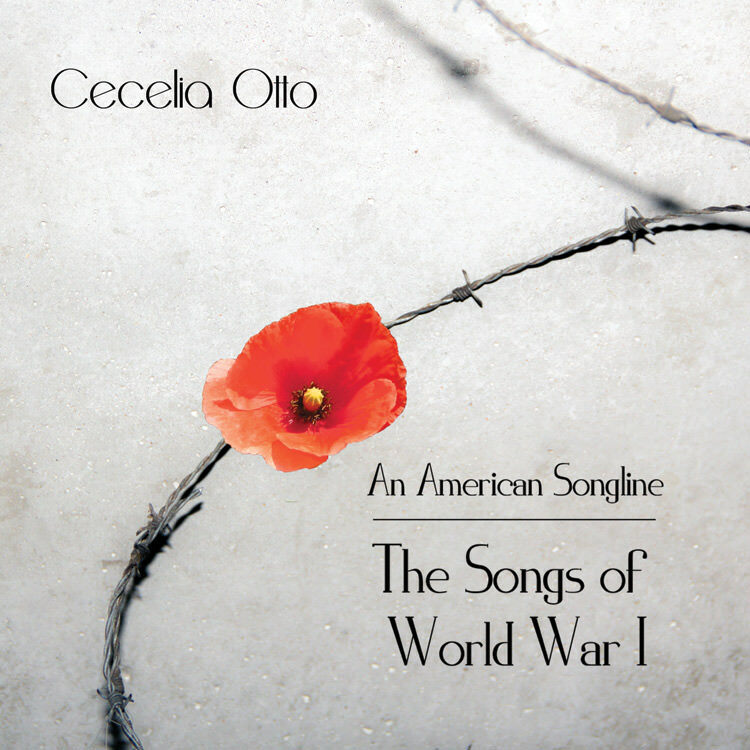 Cece will be performing her newest program, The Songs of World War I, throughout 2017 and 2018. See if she’ll be performing near you in the near future. Copyright © 2019 — An American Songline • All rights reserved.